General Motors Co is closing in on a package of proposed fixes for the Chevrolet Volt battery pack that engineers believe would eliminate the risk of a fire being triggered days after a crash, two people with knowledge of the situation said Tuesday. The proposed repairs under consideration would involve laminating circuitry in the Volt's 400-pound battery pack, reinforcing the case surrounding the lithium-ion battery and better protecting the coolant system from leaks in a severe crash, the sources said. GM has acted quickly to tamp down concerns about the Volt after U.S. safety regulators opened an investigation into the fire risk from the plug-in hybrid's battery pack last month. A relatively quick repair that could be completed for owners at GM dealerships could spare the automaker the cost and reputation damage from a more involved safety recall. GM has made the Volt the symbol of its determination to seize a leadership position in fuel economy and green technology. 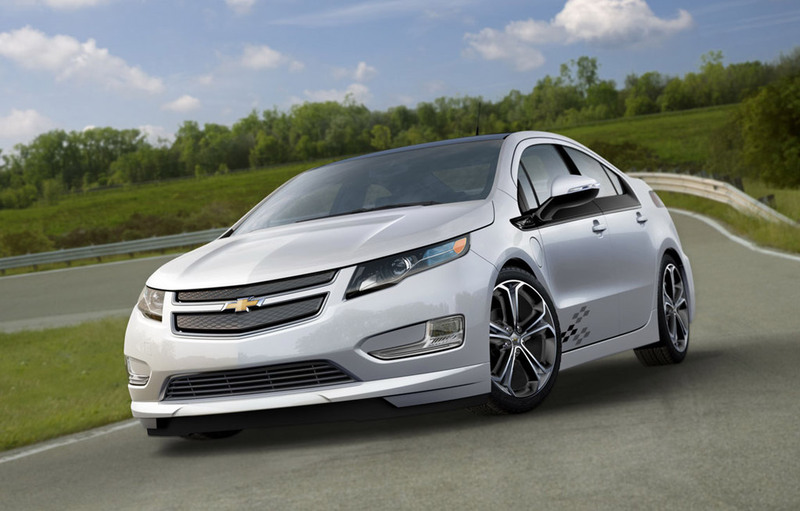 The Volt has a gas-powered 1.4-liter engine to provide additional range after it has run about 40 miles on its battery. Engineers at the No. 1 U.S. automaker are expected to update senior management by the end of the week on what could be a relatively low-cost way to fix the more than 6,000 Volts now on U.S. roads, one of the sources said. The cost of the fixes under consideration could total less than $9 million for GM -- or about $1,000 per Volt, the sources said. That could include the labor for repairs at dealerships, but the costs could rise if U.S. regulators press for a more involved solution, the sources said. The National Highway Traffic Safety Administration opened a probe of the Volt's battery pack last month. NHTSA, which has the power to review proposed safety fixes by automakers, had no immediate comment. GM spokesman Rob Peterson said engineers were still working on the problem. "To the best of my knowledge, we're not discussing exact solutions at this point," he said. A lithium-ion battery pack in a Volt that went through a crash test in May caught fire three weeks later at a NHTSA test facility in Wisconsin. In lab tests completed in late November by U.S. regulators, a second Volt pack began to smoke and throw off sparks while a third battery pack caught fire a week after a simulated crash. GM executives have said the Volt's battery pack would be safe during and immediately after any crash and that problems were not linked to any flaw in battery cells supplied by South Korea's LG Chem Ltd.
GM says the Volt is safe and has rushed to reassure early buyers with what it has called a "white-glove" approach. The automaker offered loaner cars to the more than 6,000 Volt owners while the safety investigation continues. GM Chief Executive Dan Akerson raised the ante days later by vowing to buy back any Volts if consumers had concerns, an unusual if not unprecedented step. Akerson told Reuters last week that the U.S. automaker might need to redesign the Volt battery. GM officials have said the engineering fixes would likely stop far short of a clean-slate redesign for the vehicle's most expensive component. An influential insurance group, Insurance Institute for Highway Safety, said on Monday it had no plans to strip the Volt of its "five-star" safety rating. The ratings from the group are closely watched by consumers and often used in automakers' marketing. NHTSA also has no plans to change the Volt's "five-star" safety rating, another key resource for consumers. The plug-in hybrid costs $40,000 before a $7,500 federal tax credit. GM has been losing money on the vehicle because of the Volt's high development costs and low sales volume. The Obama administration has been a strong proponent of electric vehicles like the Volt and set a goal of getting one million battery-powered vehicles on the road by 2015.